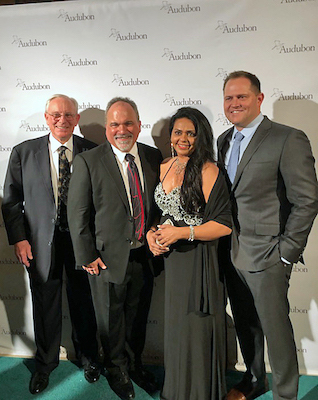 I had the most memorable time last night in New York City as I attended an Audubon Gala in which they honored Johnny Morris and family with the prestigious Audubon Medal. Johnny Morris, is the Founder and CEO of Bass Pro Shops. I had not previously met Johnny but, after visiting with this very accomplished yet humble man, I felt like I knew him before this great night had ended. I found myself completely mesmerized by Johnny’s acceptance speech. He gave the audience a strong sense of his deep appreciation for his roots in the Ozarks where he grew up as one of ten children in a two-bedroom house. He noted that, while they didn’t have much, they had a good life because they shared a love of the outdoors as a family that was inspired and nurtured by his beloved parents. He went on to describe his treasure chest of memories enjoying the great outdoors with his own family and friends. As I looked around the room, I could see that his words cut deeply into the hearts of anyone who has hunted or fished with their son or daughter and how those memories are cherished for a lifetime. He reminded me of my own special outdoors memories with my son, Sean. California rice was well represented with grower Michael Rue from Rue and Forsman Ranch and Chris Crutchfield from American Commodity Company also making the trip to New York to share a table with our friends at Ducks Unlimited. They were both pleased to witness the strong message of inclusiveness for all conservationists, both hunters and non-hunters, to work together to preserve our natural resources for future generations. Special thanks to Montna Farms for their contribution and for coordinating the combined sponsorship of California Rice and DU at this great event. The icing on the cake for me was when Johnny invited me to share a photo of the two of us holding John James Audubon’s “Long Tom” rifle believed to have been given to him in 1805 by his father. He used this very gun to collect many of the birds that he studied and recorded with such amazing detail. Wow! What a great night this was as Johnny Morris provided me with another lifelong conservation memory. 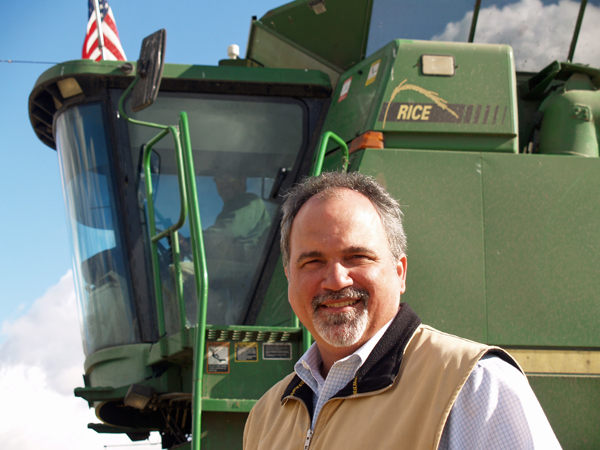 Paul Buttner is Manager of Environmental Affairs for the California Rice Commission.